As a brewery focused on both a taproom and a bottling program, we thought it would be beneficial to write about beer freshness and aging. Employees at Mellow Mink Brewing go to great lengths to ensure our draft beers are presented in the best possible manner. That means we pay attention to flavor profile, freshness, serving temperature, draft line hygiene, and glassware cleanliness. Each being an important facet in serving great beers. At Mellow Mink Brewing, we believe one of the best possible ways to experience our brews is here in our taproom. This insures every factor of beer quality is under our control and allows patrons an optimal drinking experience. While we love to see our patrons drinking at our facility, Mellow Mink Brewing is all about having a good time. We encourage, responsibly, the drinking / sharing of our beer wherever you enjoy. Therefore, we offer growler fills in a variety of sizes for most of our beers. Growlers are available in both glass and stainless steel so that you can enjoy our beers wherever your travels may take you. When getting a growler filled, we recommend that you keep the beer cold and consume the contents of the growler within three days. When a growler is filled, the beer gets exposed to oxygen that will inevitably cause it to go stale faster than in would inside a keg. Beer in a growler for a few days is okay, weeks is no good! If you would like to preserve our beer for longer than a couple days, our bottled beer can be cellared for long periods of time. 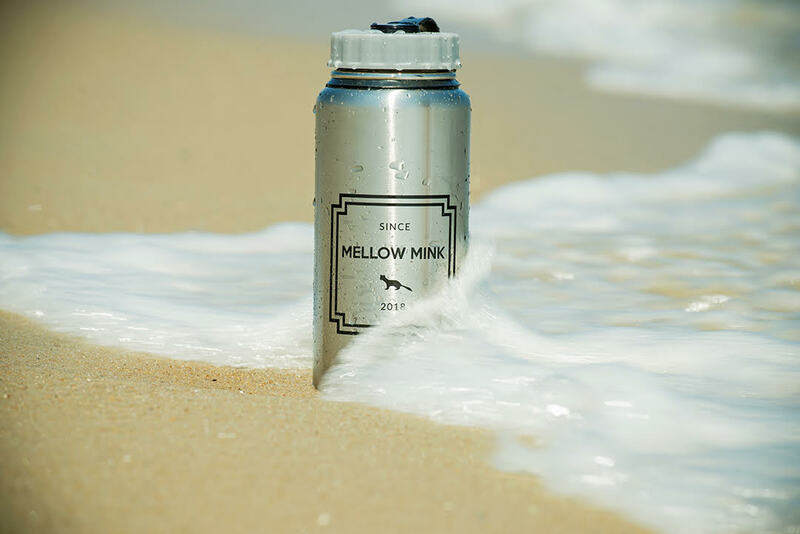 Mellow Mink’s beers are naturally conditioned and contain a wide variety of both yeast and beneficial bacteria introduced throughout the brewing process. These mixed cultures keep the beer fresh for up to several years inside the bottle. We blend these beers so that they will taste great from the day a bottle leaves our taproom. But, we also appreciate the thought of you holding on to bottles to share with friends, celebrate a special occasion, or simply to enjoy later. Keep bottles in a cool, dark location. Exposure to light, heat, or a combination of the two is bad for beer regardless of the mixed cultures living inside them. If you prefer to maintain the flavor of a beer as close to our original blend as possible, we recommend that you keep the bottle refrigerated. If you enjoy letting the beer mature and change with time, we recommend cellaring between 45° and 55° F.
Fruited beers tend to lose their impactful fruit flavors over time. Generally, our fruit beers will remain bright and fruity for anywhere from 6 months to a year from the bottle release. Beyond this timeframe, however, the beers are often still quite tasty, but their fruit flavors may fade. Even sour and Brettanomyces beers have their limits. With test bottles we have produced over the years, we are comfortable suggesting that our bottles can be cellared for up to 3 years. After that time period, the beers may still taste pretty good, but will most likely be on the decline. All of our bottles have a mixture of yeast and bacteria within the beer. 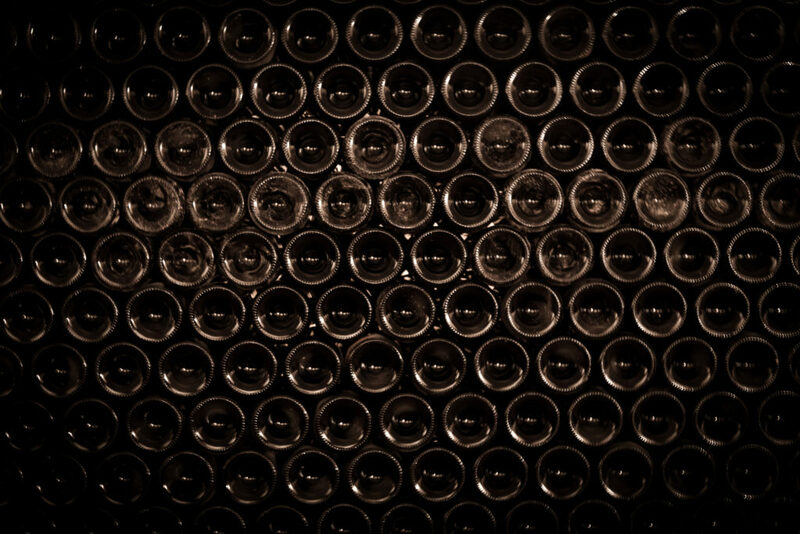 When the bottles sit still for a while, these microbes will settle on the bottom of the bottle forming a layer of sediment. To keep these dregs out of the glass, we recommend gently opening a bottle in the upright position. When pouring, gently tilt the bottle and pour each glass to be served without returning the bottle to a fully upright position. As you near the end of the bottle, leave the last half-inch of beer behind with the sediment. This method achieves the same results as the bottle cradles we use in our taproom, allowing each glass to get a clear pour which will present the best possible flavor profile for a given beer. Check out the serving temperatures that we recommend on the back of the bottle. While most sour and farmhouse beers will taste great in a fairly wide range of temperatures, most of our blends are designed to be enjoyed between 45° and 55° F.
One of our favorite aspects of sour and farmhouse beers are the unique and complex aroma profiles that can be achieved. We recommend using glassware designed to showcase these aromas. Don’t fret if you don’t have the exact glasses pictured on our bottles, most shapes of Belgian beer glassware or wine stemware will do a great job! We hope that these suggestions are both helpful and interesting. We take pride in our beer and, as always, want our patrons to have the best possible experience with our beers!